Canada has today (January 9) officially become a member of the International Renewable Energy Agency (Irena). It is the 160th member to join the global intergovernmental organisation dedicated to the widespread adoption of renewable energy. Renewable energy accounts for two-thirds of the country’s power generation and just under 20 per cent of its total final energy supply thanks largely to significant hydropower resources, which make it the second largest producer of hydropower in the world, said a statement from Irena. Renewable power generation in Canada increased from 78 gigawatts (GW) in 2009 to 99 GW in 2017. In addition to plentiful hydro resources, Canada also has significant wind, biomass, solar, marine and geothermal energy potential. For example, today, wind accounts for 5 per cent of electricity generation in Canada. Canada’s membership comes on the eve of Irena’s ninth and largest assembly. More than 120 ministers are expected to join 1,200 delegates from150 countries in Abu Dhabi, to accelerate the deployment of sustainable sources of energy. 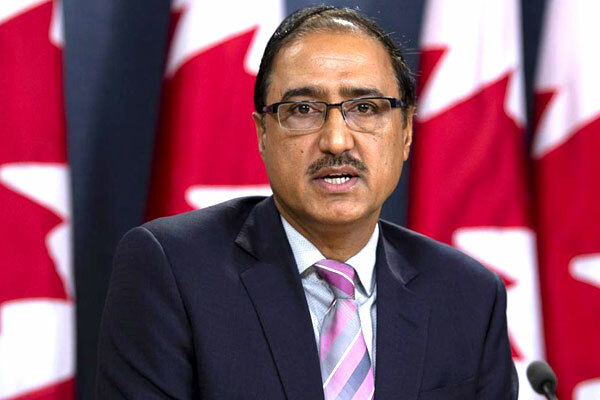 "The growing green economy is among the greatest economic opportunities for Canada in a generation," said Amarjeet Sohi, Canada’s Minister of Natural Resources. "Becoming an Irena member will accelerate Canada’s efforts to build a clean energy future which will bring new economic growth and thousands of new, well-paying jobs," he stated. "We are delighted to welcome Canada as a new member of the Irena family," said Director-General Adnan Z. Amin. "Canada has vast renewable energy resource potential and long-standing experience in low-carbon development that it can share through international cooperation," he noted. "We look forward to working with the Canadian government as well as the private sector and research institutions to advance energy transformation," said Amin.